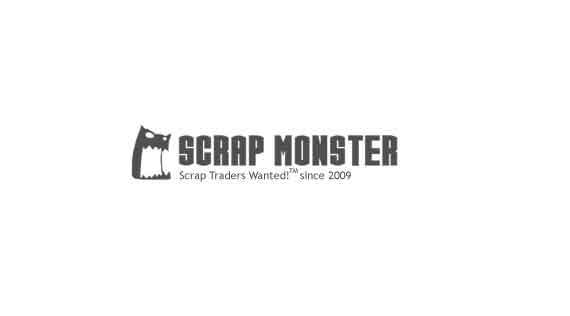 This is the Global Economic, Scrap Metal, Commodities and Recycling Report, by BENLEE Roll off Trailers and Open Top Scrap Gondola Trailers, February 11th, 2019. Last week, prices were mostly mixed while economic reports were mostly negative. U.S. steel production fell to 1.889 million tons. While a strong number, slowdowns in areas like Automotive and housing are hurting demand. Oil fell $2.54/barrel to $52.81, as OPEC works to make production cuts to offset U.S. increases, but global economic weakness concerns markets. If Global demand weakens due to climate change actions, oil prices could stay low for a long time. U.S. oil production stayed at the record level of 11.9M barrels a day. U.S. record production is helping keep global prices in check, especially with some Iranian and Venezuelan oil off the market. Iron ore was steady at $86.50 after rocketing up due to the Brazilian dam collapse at a mine. This could drive higher scrap and steel prices in the near future. Scrap steel #1 remained steady at $298/GT with good U.S. demand and with export demand pushing prices higher. While early, with iron ore and export scrap prices up, scrap could be up in March, but beware, the U.S., EU and China economies are slowing. Hot roll coiled steel rose slightly to $34.30 per Hundred, as the recent price increases at the mills kick in. Rising scrap and iron ore prices will put upward pressure on finished steel prices. Copper rose 4 cents to $2.81 despite a lot of negative news. China had recently cut back purchases, so maybe they are back in the market. Aluminum was down about half a penny to 84.31 cents, remaining near 18 month lows, with all the negative news. The European Union, which is larger than the U.S. or China just took their growth forecast down to a very slow 1.3% in 2019, which puts downward pressure on commodity prices. The Baltic Dry Index has crashed. This tracks global shipping prices. With the global slowdown, especially in China and Europe, this will keep downward pressure on commodity prices. Low oil prices and low volumes are also hurting Russia and OPEC countries. January U.S. Vehicle sales fell significantly with the China trade news, higher interest rates and the government shut down, taking their toll. People are nervous. February’s IBD Economic Optimism index fell to 50.3, the lowest in over a year, as Americans feel worse about their own finances. Consumers feelings about the economy’s prospects in the next 6 months fell into negative territory to it lowest level since September 2016, before the election. Also, the view of how economic policies are working fell to the lowest point in more than a year. November’s trade deficit narrowed to $49.3B, the lowest gap in 5 months which is good news. Unfortunately exports were down .6% which were mostly petroleum products, while imports fell 2.9%, with cell phones being the largest decline. Exports and imports fell with China, Canada, Mexico and the EU. Global trade is slowing. Wall Street’s Dow Jones index fell a big 495 points on continued data showing global slowing, which is now hurting U.S. businesses. Trade uncertainty is a major planning problem for global businesses, which is putting a hold on investments. A reminder to register for the annual Recycling Meeting and Trade show in Los Angeles. We will be there with our Super Mini Roll Trailer, Roll off Truck Replacement and a Lugger Truck. Of course we can sell you these units or you can rent them from Premier Truck Sales and Rental.